While Michael from The Deer Hunter may have failed in his attempt to his mentally imprisoned POW friend home, Chuck Norris and Sylvester Stallone succeeded spectacularly in in their solitary military missions. The notion that the United States may have left men behind was hard to fathom, and Americans chose to partly solve this complex problem through fictional characters. Americans admire heroes who go at it alone and especially those who win. Rambo and copycat heroes took us back to the lonesome cowboy archetype in the clothes of a special forces soldier. These superheroes get the POWs back through daring rescue attempts against almost unimaginable odds. The movies acted as a constructive repatriation through one man's ability to single-handedly re-fight the war and win. The public could welcome, cheer and embrace the POWs in film without making a political statement on the war itself. Dignity resided in rescuing our men. The "POWs were a sympathetic, safe subject that still created enough controversy and interest to gain a movie audience" (Lanning, 121). While perhaps commendable for bringing attention to the possibility of the existence of POWs still in Vietnam, these superhero rescue films appropriated the POW experience and turned the issue into an almost comical mythos. Academics could not help but point fingers, quote Slotkin's Regeneration Through Violence, and cry colonialist captivity narrative trying to re-win the war. This Chuck Norris vehicle is the first in a plethora of films that portray former Veterans trying to rescue POWs. The government is the villain, reflecting a post-Watergate pessimism and the knowledge surfacing that Nixon and Kissinger may have been left behind POWs. Norris is John T. Booker, a Vietnam veteran who was part of the Project Phoenix team during the war. 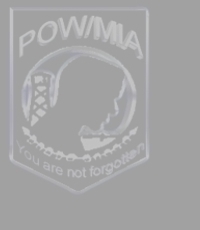 The Project's mission was to retrieve POWs still held in Southeast Asia. The mission was a hoax. His team found no POWs and the expected helicopter never materializes. The under secretary concocted the idea to prove he was making the issue a national priority when in fact he had written MIAs off. The CIA is out to keep Norris and his crew quiet permanently. The film ends with Norris asking the bureaucratic villain, "How would you like to be an MIA?" Good Guys Wear Black communicates to the public that government failure was partly responsible for not getting POWs home. "Vietnam veterans are considered criminals by their own countrymen and by politicians and other powerful families who did not serve. America wants to forget about its Vietnam vets because the war cost too much and did not turn a profit. The politicians know, too, the same politicians who never lost a single son in Vietnam, not one. Now they say we've been negotiating for ten years. Well, the other side's not buying, and while the politicians sit on their asses I'm gonna ask you to lay yours on the line - again- because, gentleman, we are the only hope those POWs have. So we're going back there, and this time, this time nobody can dispute the rightness of what we're doing." Rhodes establishes their moral authority to return. The rescue of POWs is something that neither the left nor the right can dismiss as unnecessary. This reflects an outbreak of right-wing pessimism toward government as opposed to its left-wing version in the 1970s. Both camps can come together to fight the corruption in government over this issue. 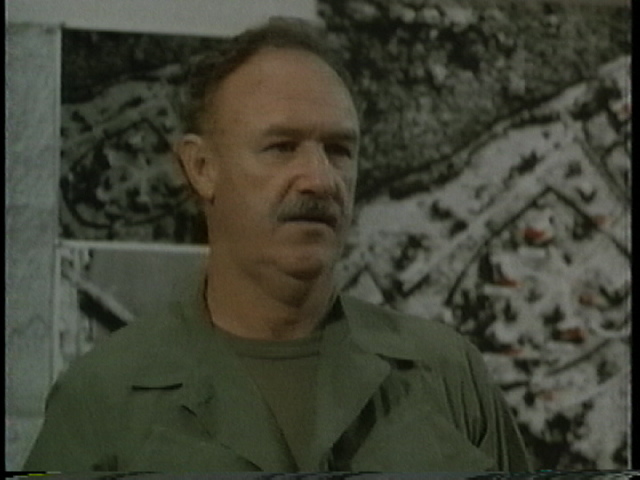 The film is said to be based on former Green Beret colonel Bo Gritz's ill-fated attempt in 1982 to free POWs reported to be in Laos. Gritz led 15 Laotians and 3 Americans on a mission to rescue American POWs. Just as Gritz's mission Rhodes team is ambushed shortly after crossing the border from Vietnam to Laos. Whereas Gritz failed, the fictional Rhodes succeeds in pressing forward. But both missions accuse the government of attempting to derail the men's efforts. "I'm not right wing, I'm not left wing. I love my country" (qtd. in Kern 49), so stated Sylvester Stallone in an interview about his successful Rambo film. What do Stallone's politics have to do with his filmmaking? Nothing, but the issue of returning POWs transcended party lines. With Rambo's shoulder length hair, anger toward the government and his Green Beret past, this superhero combined traits of those who fought against the war and those who fought in it. The 1960s hippy movement used Native American symbols for a type of peace representation and John Rambo also appropriates this symbol. His lineage is Native-American and he wears a talisman around his neck. Both sides of the political spectrum could cheer for him. The audience reveled in the victories of the hero over impossible odds. Rambo acts as the rescuer in a new image of the Vietnam POW who is a stark contrast to the deranged psychopath of earlier Vietnam POW films. 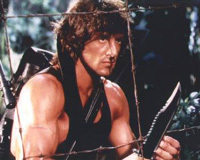 Rambo First Blood II grossed $75.8 million in the first twenty-five days of its release. Stallone claimed that the message of the film was that "frustrated Americans were trying to recapture some glory. The vets were told wrong. The people who pushed the wrong buttons all took a powder. The vets got the raw deal and were left holding the bag" (Kern 53). President Reagan agreed. He was another advocate of the Rambo rejuvenation of the veteran and opened the country's dialogue. He had always tried to honor veterans. As governor of California, Reagan wore a POW bracelet. As President he stated that "we are just beginning to realize how we were led astray when it came to Vietnam" (qtd. in Studlar and Desser 107). Reagan spoke of Rambo and used him as a metaphor in speeches. Rambo afforded the chance for Americans to get their POWs back, even it was only a fantasy. These complex dilemma could be solved easily with a heroic figure who parachutes from a plane, withstands torture, escapes captors and frees American POWs. Rambo succeeds and achieves what we as an audience want - the Vietnamese government and our government beaten at their games of deception. Rambo blames the nation�s leaders for the failure to achieve victory. When Rambo gets a release from prison for a mission in Vietnam to rescue prisoners, he asks, �Do we get to win this time?� But John Rambo, the former Green Beret and Congressional Medal of Honor winner, is not supposed to win this time either. The CIA tries to stop his return of the prisoners. The government is willing to sacrifice the POWs to maintain the status quo of international relations. According to this film, the Vietnamese kept prisoners because Nixon reneged on reparations to the Vietnamese. Rambo�s mission is destined to fail since it has been arranged that no American POWs will be found. Murdock, the politician, wants the MIA mission to fail so the whole politically embarrassing issue can be buried once and for all. He wants to use the failed rescue attempt to prove that MIAs and POWs no longer exist. Rambo type films provided a cause of concern for veterans and peace factions. One side claimed it glorified violence while the veterans said it was distorting reality, some even protesting at the movie's premiere. Overall the audience was allowed to admit the war was evil but still sound patriotic. We are asked to agree with Murdock who tells Rambo that "the war and everything that happened may have been wrong, but don�t hate your country for it.� This scene shows how Stallone's character is able to "reconcile and synthesize many of the war's contradictions" (Auster and Quart 94). Stallone said in an interview, �I stand for ordinary Americans, losers a lot of them. They don�t understand the big, international politics. Their country tells them to fight in Vietnam. They fight.� (as qtd in Studlar and Desser). Rambo was followed by the successful Chuck Norris Missing in Action series in 1984 and 1988. The long haired bearded commando who rescues POWs from communist Vietnam years after all prisoners become staple movie fare. Chuck Norris stars as Braddock (half-Indian like the Rambo character) who is also a master of martial arts. Norris becomes the hunter-hero who adopts the skills of the natives in order to escape. The superhero film has by far been the most prolific genre of POW films and Rambo and Braddock clones have come in the form of P.O.W. The Escape (1986), Behind Enemy Lines, (1987) Dog Tags (1990) and numerous others.